8. 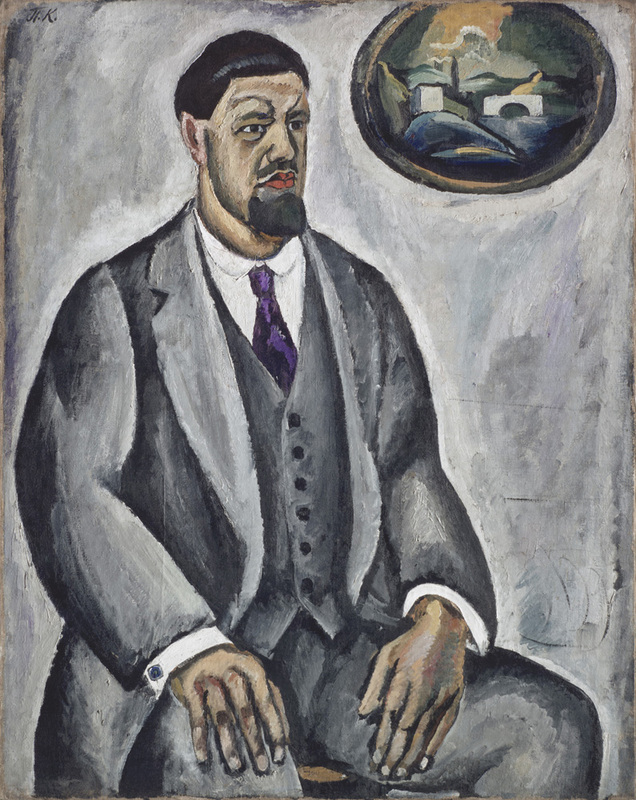 One of the artist’s recognized masterpieces – Portrait of Vsevolod Meyerhold, a pictorial homage to Matisse, is a symbol of aestheticism and human solitude. It was painted in 1938 in the house of the renowned and already disgraced stage director, one of whose plays had found disfavor with Stalin. A short time after the creation of the portrait, Meyerhold was arrested and shot. // Portrait of Vsevolod Meyerhold, 1938. Feb. 21 is the 140th anniversary of the birth of this early avant-gardist. Pyotr Konchalovsky is the main “Russian impressionist” and one of the most expensive Russian artists at international auctions. Here are 10 of the most important facts that you should know about this outstanding artist. 1. Impressionism is such a quality of true painting that it can be found in works of any epoch, according to Pyotr Konchalovsky. “Even in Raphael’s frescos, if we peer into them, we can discover something close to Monet,” he once said. Impressionism, as an art key to any reality, amazed Konchalovsky when at the age of 15 he saw Claude Monet’s painting Haystacks for the first time as it was brought to Moscow for the French Industry and Art Exhibition in 1891. // Dry paint, 1913. 2. In the artist’s own works, the influence of Vincent van Gogh, Matisse and Cézanne is noticeable most of all. 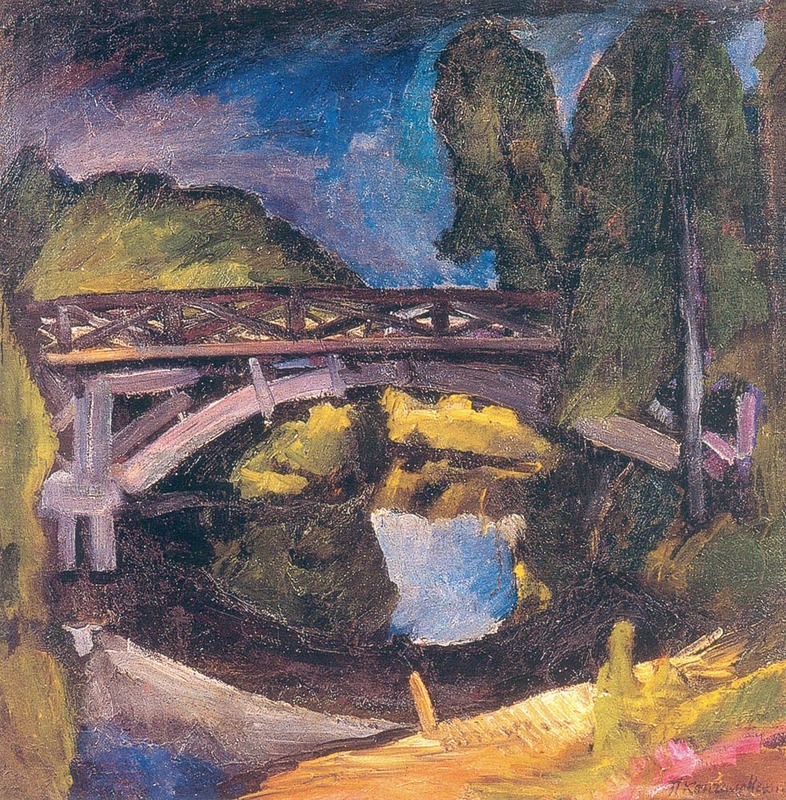 In Russia, Konchalovsky is referred to as “the main Cézannist” and is the only painter of that group who managed to move away from Cézanne’s influence to find his own style. // The bridge, 1911. 3. 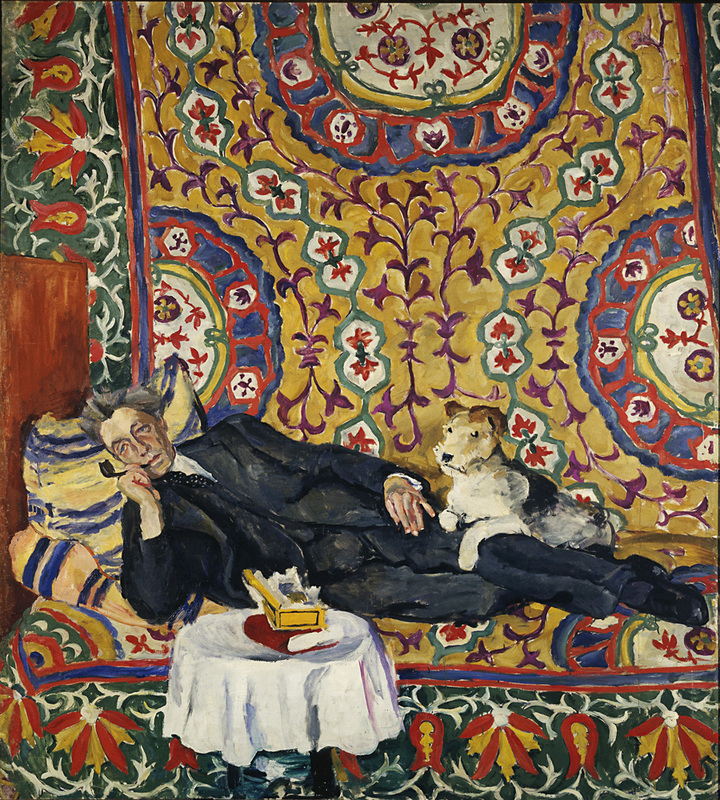 Konchalovsky’s contemporaries in Moscow regarded his painting as “French” in style. However, European critics and artists (including the great Swiss painter Félix Vallotton) noted his exceptional “Slavic” character and “barbarian” color. // Self portrait in grey, 1911. 4. As well as new movements in Paris, at first Konchalovsky’s painting was not accepted in his homeland. When in 1910 he decided to display one of his most famous works at the moment – Portrait of the Artist Georgy Yakulov, his colleagues did not want to put their paintings next to this “scarecrow,” critics called the portrayal of Yakulov a “victim of an automobile,” and one of spectators wrote “a fool” on the wall under the portrait. // Portrait of the Artist Georgy Yakulov, 1910. 5. Konchalovsky spent much of the period from 1900-1910 traveling across France, Italy, and Spain, and participated in large-scale expositions – in the Salon des Independants, the Salon d'Automne in Paris and at the Moderne Kunstkring at the Stedelijk Museum in Amsterdam. // Matador, 1912. 6. 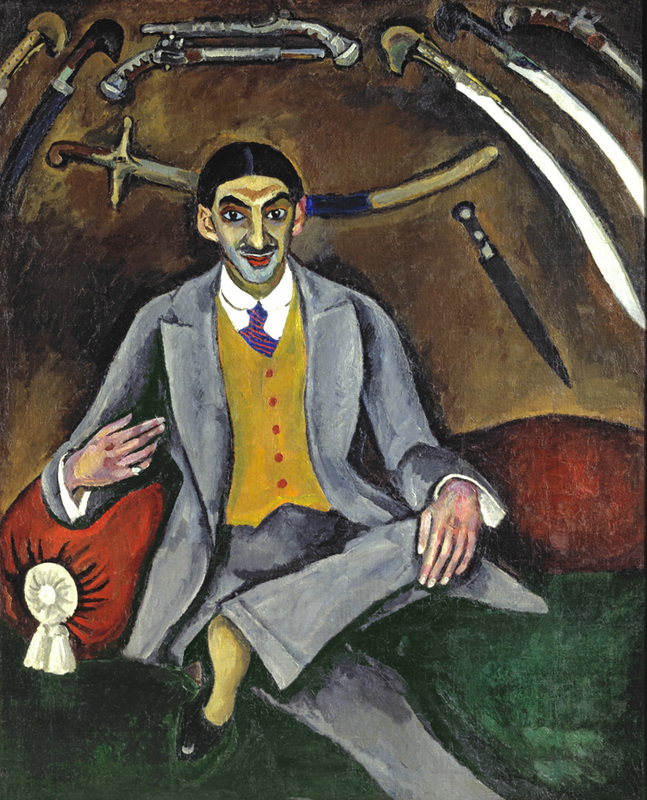 In 1911 Konchalovsky became one of the founders of an art society named “Jack of Diamonds.” Its participants denied academic art and strove to unite new European tendencies and folk art. 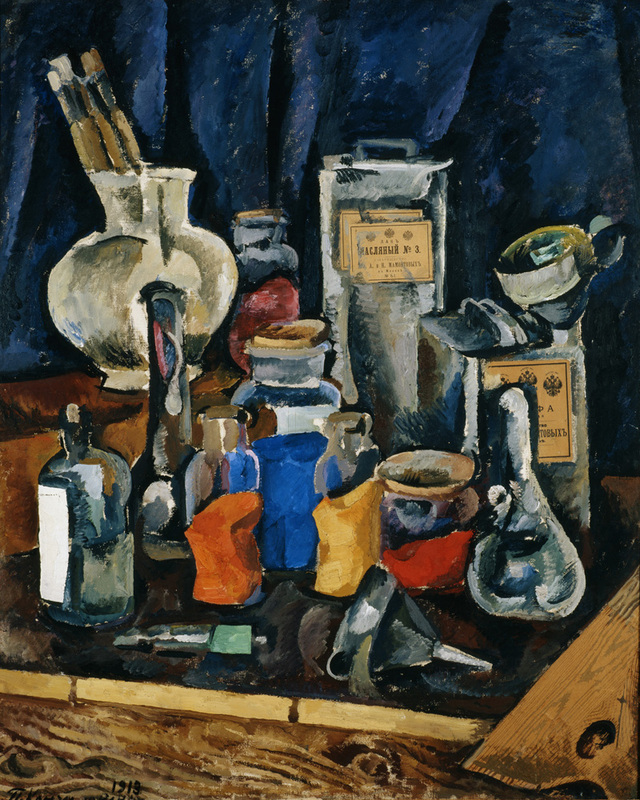 The group became forefathers of the legendary Russian avant-garde movement. 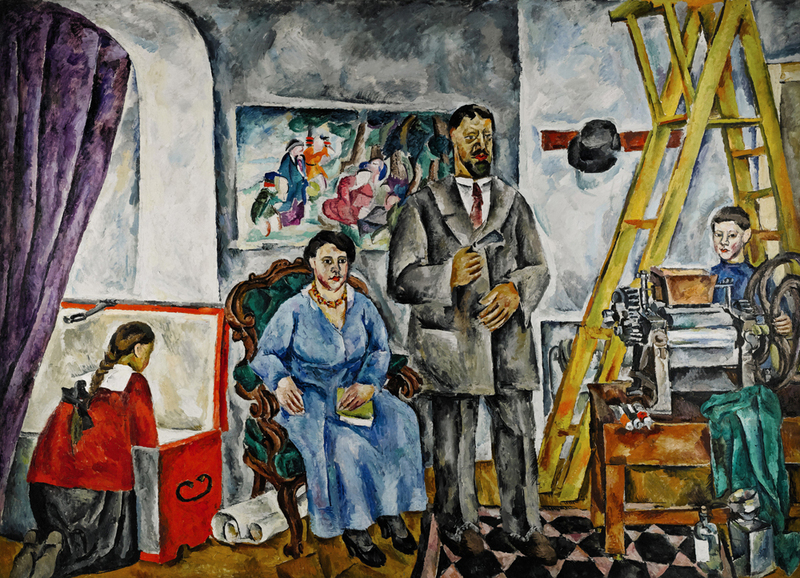 Besides the founders (Ilya Mashkov, Aristarkh Lentulov, Robert Falk), other artists also participated in the expositions, including French artists (Le Fauconnier, Friesz, Léger, van Dongen), Natalia Goncharova, Mikhail Larionov and a German group headed by Wassily Kandinsky. 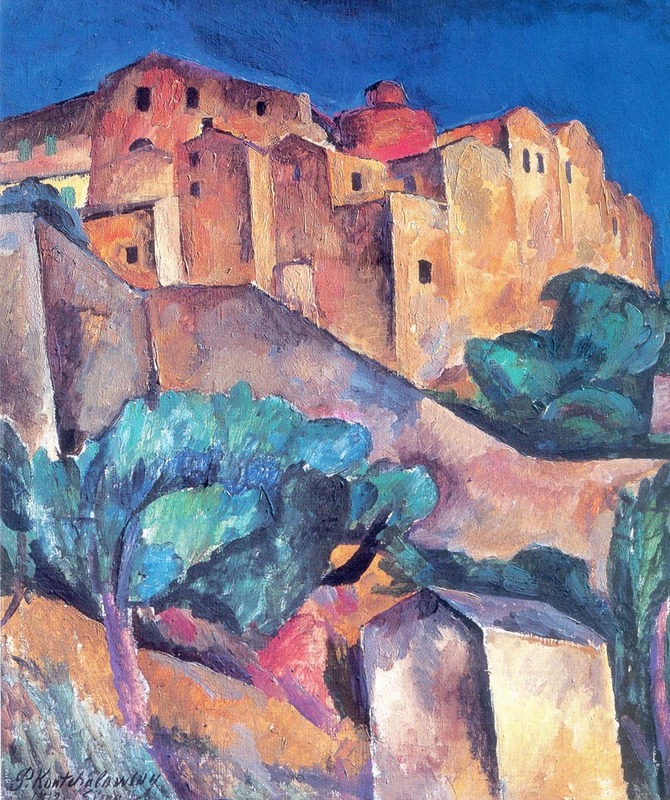 // San Gimignano, 1912. 7. In 1924 the USSR took part in the Venice Biennale for the first time. 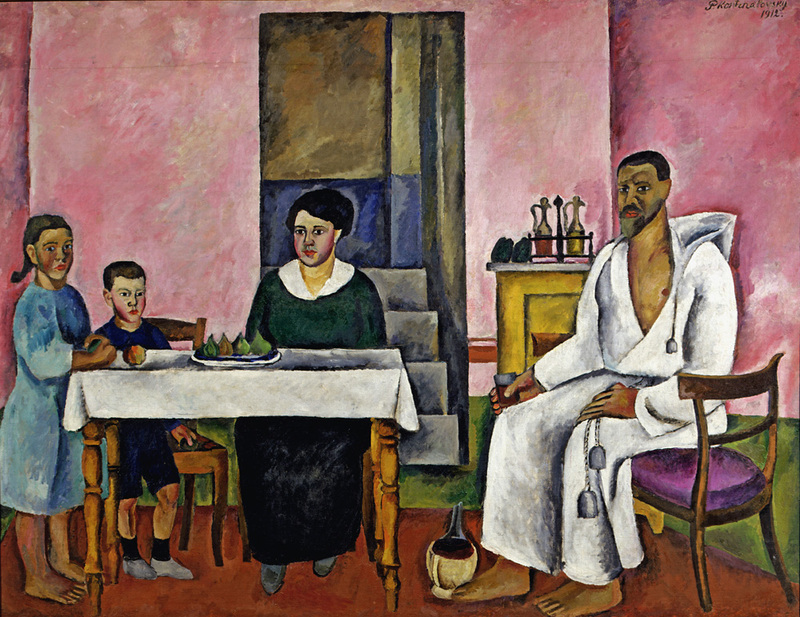 Konchalovsky exhibited 13 paintings in the Russian pavilion, among which was Family Portrait, which Venice’s Ca' Pesaro art gallery bought after the exposition. // Family Portrait, 1912. 9. At the age of 26, Konchalovsky married Olga, the elder daughter of the famous historical painter Vasily Surikov. This alliance laid the foundations of a well-known dynasty – among their descendants are a painter, two writers, three film directors (including Andrei Konchalovsky and Nikita Mikhalkov) and four actors. 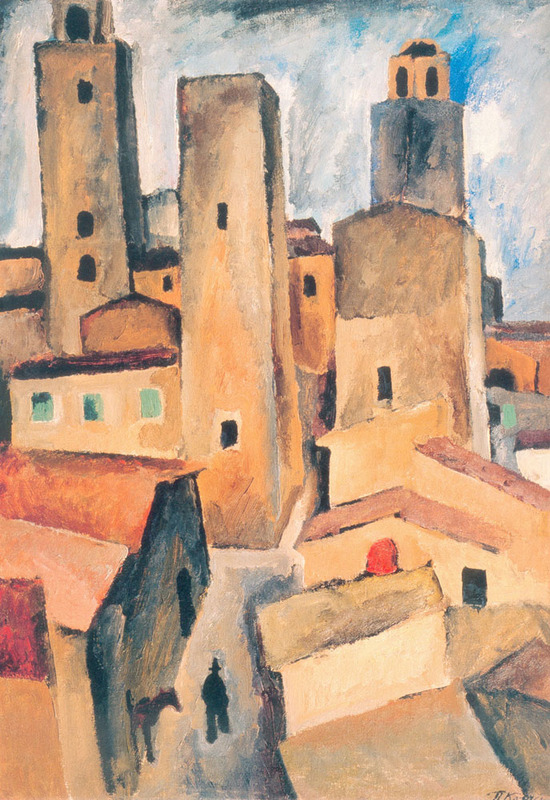 // Siena, 1912. 10. 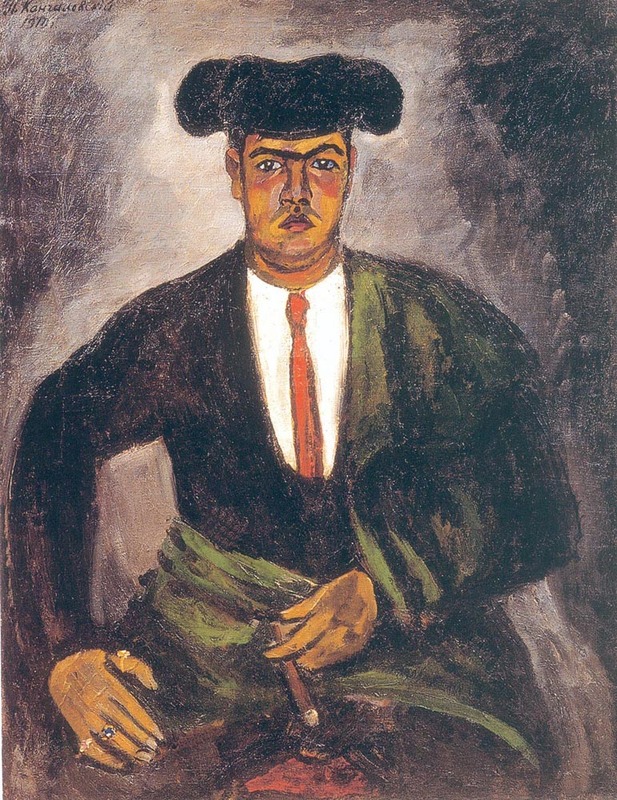 Konchalovsky’s early works are highly valued at auction. In June 2008 Portrait of Todzuro Kavarasaki, a Japanese actor was sold for just over 1 million pounds ($1.5 million) at Christie's in London. However, in November 2013 the huge (256 x 355 сm — 100.8 x 139.8 in) Family Portrait in the Artist's Studio went up for auction at Sotheby's. It was estimated at 3.5–4.5 million pounds but bought before the beginning of the bidding for 4.7 million pounds by Russian multimillionaire Pyotr Aven. // Family Portrait in the Artist's Studio, 1917.